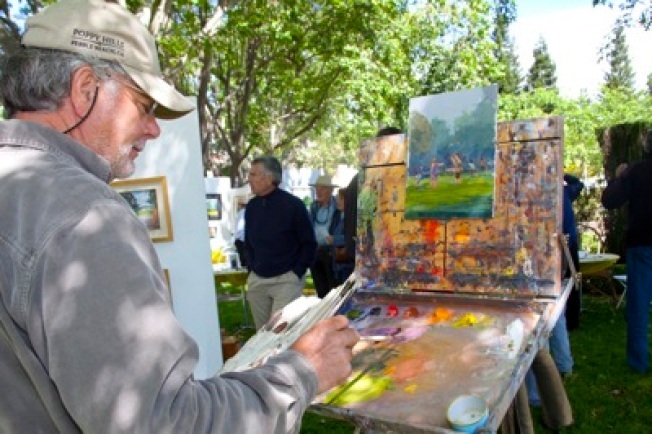 Mark your calendars for the 12th annual Sonoma Plein Air Festival, a week-long community celebration from September 15 – 20, 2014! Not only will you meet nationally renowned plein air artists and watch as they create Sonoma County-specific works of art, but you’ll also experience Sonoma during its inspiring and awesome harvest. Purchase one-of-a-kind paintings knowing that your purchases make possible art classes in Sonoma Valley schools. Without your support these classes would not be offered. Come and enjoy our community as you’ve never before seen it, meet the artists, and change lives with your support. Imagine our world without art. On second thought, don’t. Instead, please support art education for Sonoma Valley students.